Phil Watt, a former Velvet Knights bass drummer ('87-'91), submitted this photo and caption. 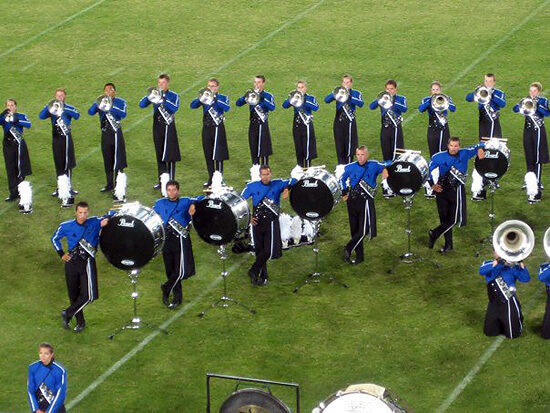 I took this photo at DCI West in Stanford, Calif. on June 26. It's great to see the Blue Devils with their new drums, and it was a nice to see the bass drums having some fun while at parade rest.